If you’re tired of spending hours shaving away your body hair, it’s time to think about laser hair removal. These innovative treatments can significantly reduce your hair growth in just a few sessions, regardless of skin tone (fair and dark skin) or whether you're a man and woman. 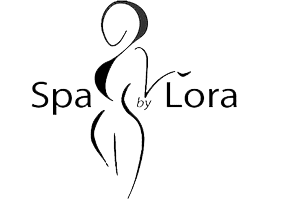 Lora offers laser hair removal treatments for both women and men from her Spa by Lora locations in the Bucktown neighborhood of Chicago and the Ravinia neighborhood of Highland Park, Illinois. Laser hair removal uses targeted laser energy to destroy your hair follicles preventing future growth. Lora uses the CoolGlide laser system, created by Cutera, to help you get rid of unwanted body hair. The CoolGlide system includes a hand-held applicator that simultaneously cools your skin while sending bursts of laser energy toward your hair follicles for a comfortable treatment. Laser hair removal sends bursts of targeted laser energy into your hair follicles. When the energy enters your follicle, it releases heat to destroy the follicle and prevent future regrowth. Laser hair removal is most effective on clients with fair skin and dark hair; however, the CoolGlide system can be calibrated to treat both darker complexions and lighter hair. The laser is drawn to the pigmentation of your hair follicles, which is why it's traditionally more effective on clients with the greatest difference between skin tone and hair color. During your laser hair removal treatment, you’ll relax on a treatment bed. Laser hair removal shouldn’t be painful, but if you are sensitive, you may request a topical anesthetic or apply an ice pack before your treatment begins. You wear protective goggles and relax while Lora uses the hand-held device to direct the laser toward your skin. You may notice a warming sensation and some clients have described the treatment as feeling like a rubber band snap. After your treatment, you may hold an ice pack against your skin to regulate your skin temperature. You should avoid any strenuous exercise for 24 hours after your treatment to prevent overheating. You may also want to wear natural, breathable fabrics, like cotton, on the days you have treatment. The most important thing you can do during your laser hair removal treatments is to avoid the sun. While the CoolGlide system can be calibrated to treat darker or tanned skin, the greater the difference between your skin and hair color, the more effective your treatment will be. You can shave in between your treatments, which should be approximately four weeks apart, but avoid waxing or plucking. There needs to be some hair in the follicle for laser treatment to be effective.